We understand that going to the dentist can be an anxious trip for some. But the more you know the more comfortable you will be. That’s why at Longmeadow Family Dental Care, we like to inform our patients about their options when it comes to dental care. Today, we’ll look at the similarities and differences between a crown and a root canal. Typically, a root canal is performed when a cavity has reached extensive levels, meaning that the decay has reached the pulp. The pulp is the area of the tooth where the nerves are located. In some cases, the nerve may even be exposed, which can be extremely painful. This type of infection cannot be simply filled because it would not stop the infection from spreading. Other reasons that a root canal may be performed are in the case of serious oral trauma. The root canal process itself is one that desensitizes the tooth and is usually done over a couple of visits. This would depend on the particular situation but regardless, after the root canal is completed, the tooth will be brittle. At this point a post and crown may be needed. A crown is placed on the tooth to protect the tooth after a root canal procedure. It can also be placed on the tooth if there is an extensive cavity that has not yet reached the pulp. In this case, the tooth will be ground down and an impression will be made of the remaining tooth. A temporary crown will be placed on the tooth to protect it from further infection or damage until the permanent crown is completed. It can be just a few days to several weeks before the permanent crown is complete. Once ready, the temporary crown will then be removed and the permanent crown will be affixed to the modified tooth. Again, a crowned tooth does not always require a root canal. In the case of a tooth that has not been root canaled, a post will not need to be installed. The primary function of the post is to strengthen the tooth before crowning. 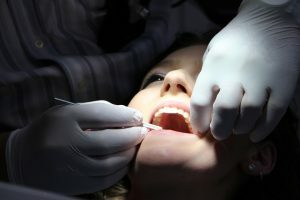 After reading this, it may appear that the differences between a crown and root canal are obvious, but these two procedures can be very closely related. Just check with the professionals at Longmeadow Family Dental Care and we’ll help make sure you are informed and have the happiest and healthiest experience possible.